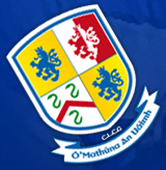 Welcome to the Navan O´Mahonys GAA Club! Please feel free to browse any of the sections and contact us if you need anymore information. New members are always welcome to join.